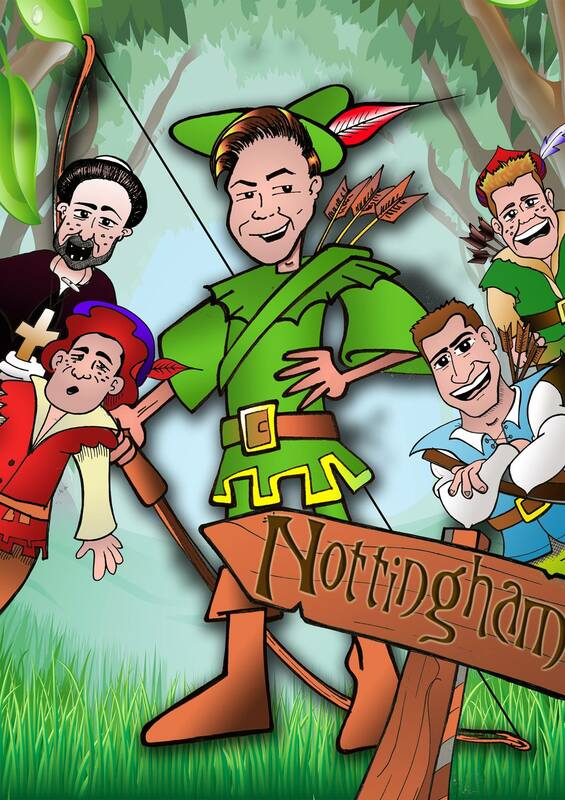 Robin Hood & His Merry Men is a Springtime panto that will be at the Hazlitt Theatre in Maidstone on the 15th April 2015. Robin Hood, played by CITV’s Hi-5 Chris Edgerley, puts right the wicked Sheriff of Nottingham who rules over the good people of Sherwood, collecting taxes to pay for his own evil plans. Silly Willy Scarlet (played by the hilarious Tom Swift) is eager to help and join the Merry Men (Britain’s Got Talent comedy impressionist Philip Green as Little John, and from Harry Potter and Channel 4 Seven Dwarfs Josh Bennett as Big John). The auditions for ‘Sherwoods Got Talent’ are the perfect distraction as the Sheriff kidnaps Maid Marian – will Robin Hood and his very Merry Men be able to rescue her in time? Jason spoke with the actor Jimmy Burton-Iles who plays the character of Fryer Tuck on 106.9 SFM’s DriveTime show.